"When I took the baby in my hands, she seemed really big and it felt totally different how a kitten should feel." Last week, Martine Vos was called out on a rescue mission she likely won't soon forget. Vos is a volunteer with Cat Shelter Limburg, a Belgium-based group that specializes in caring for homeless felines. So, naturally, when she received word about one such animal in need, she didn't hesitate to help. "A man called our rescue number because he found a very little black kitten, only a few days old," Vos told The Dodo. "He asked us to come and pick up this little baby." Little did she or anyone know at the time, however, that things weren't exactly how they seemed. A search of the area where the little animal had been found turned up no signs of her mom, or any possible siblings, so Vos planned to take the orphan to a foster family who could care for her. It was around this time that Vos noticed that something was off about the supposed kitten. "When I took the baby in my hands, she seemed really big and it felt totally different how a kitten should feel," Vos said. A closer inspection revealed that her face really wasn't so kitten-like either. 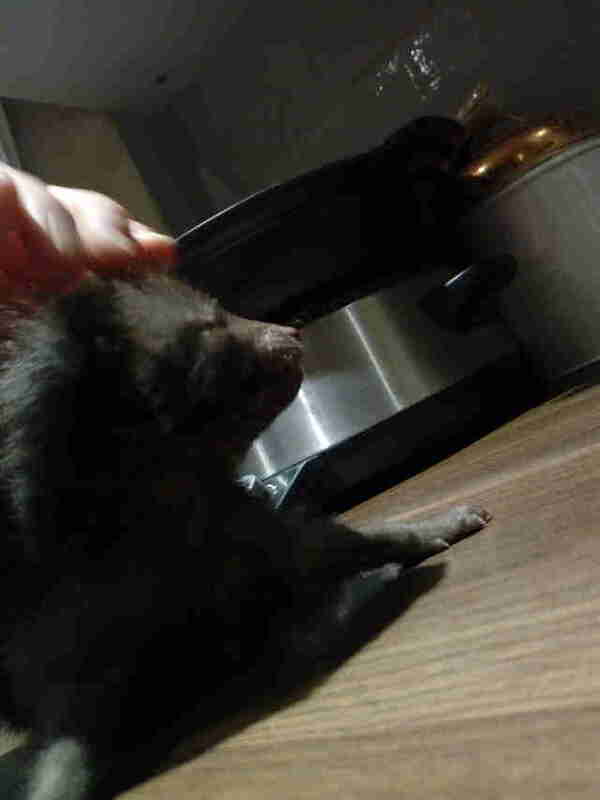 Her curiosity piqued, Vos and a colleague visited a veterinarian in hopes of confirming just what sort of animal this little baby actually was. But the vet was stumped, too. "The one thing she was sure of is that it was a baby girl," Vos said. Next, Vos decided to consult a nearby wildlife rescue center — and with that, the mystery was solved. 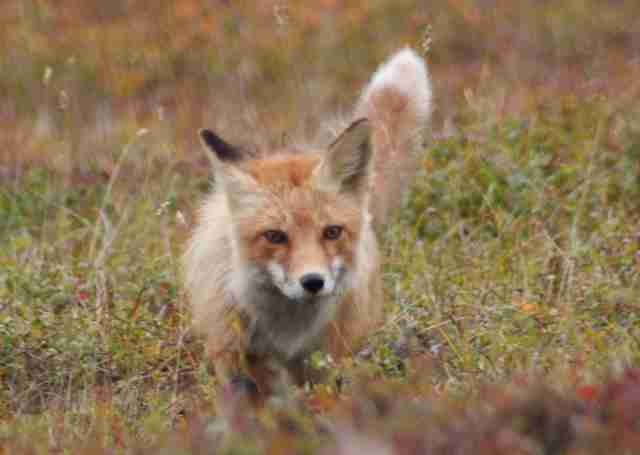 "They recognized it as a baby fox," Vos said. 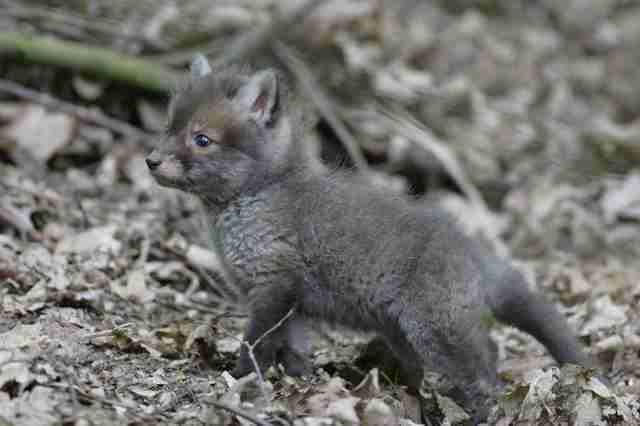 Turns out, fox pups are often a darker shade very early on in life, and they do have a vaguely cat-like look. "Firstly, because I am really interested in the native wild animals," she said. "And because of my surname 'Vos', which means 'fox' in Dutch. It was my dream to meet a fox in real life. So holding this little baby fox in my hands and preventing it from a certain death was a dream that came true!" 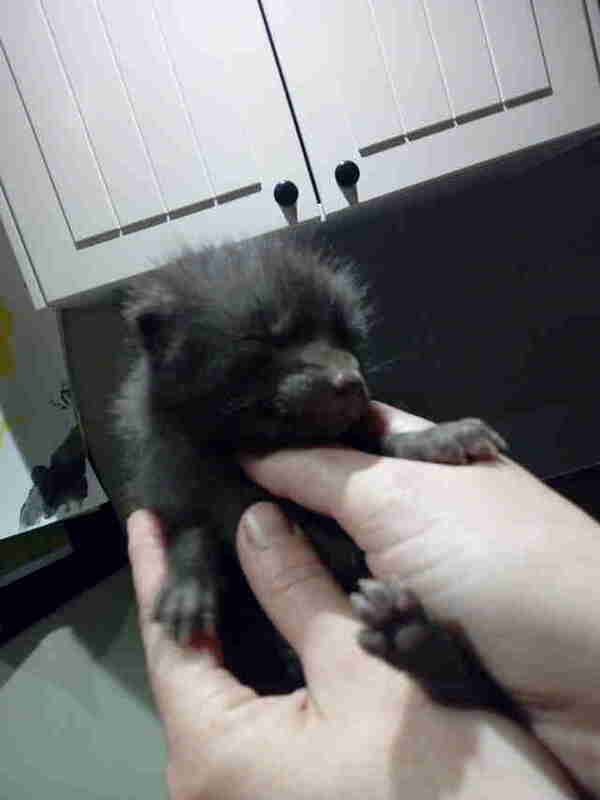 The baby fox has since been placed with wildlife experts to be raised until she's old enough to return to the wild. Although it turned out not to be a kitten, Vos was still more than happy to have helped. "As a volunteer for Cat Shelter, I am committed to help animals in danger or in need, especially the very young kittens," she said. "In this case, it made me feel good that I was part of the rescue of this baby. Now she has a good chance to get a life in her own habitat. And I hope she will be released into the wild again and have a lot of baby foxes of her own."